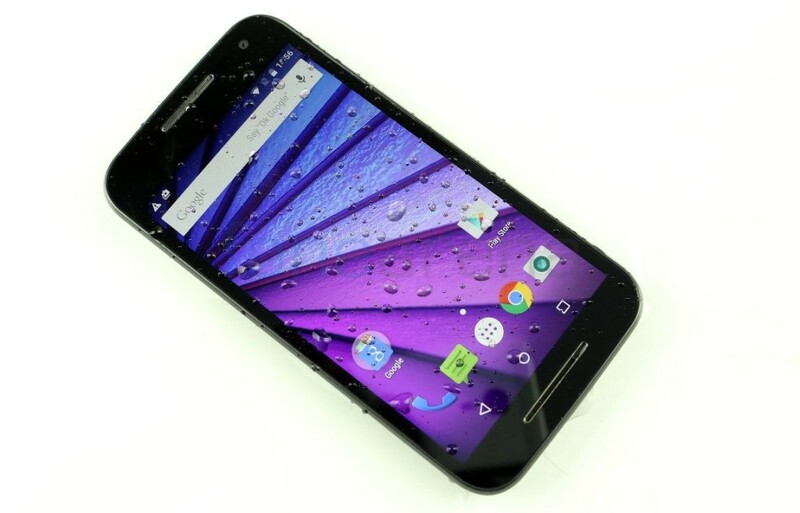 Motorola’s most famous series of smartphones is Moto G. The company enhances Moto G series with its latest release namely Moto G3 or Moto G 3rd generation. The company announced the launch on July last week and is available for sale over 60 countries in the world. The company will be launching mainly two variants one with 2GB RAM and 16GB internal storage and another with 1GB RAM and 8GB internal storage. Company officials have declared that the former variant will be priced at $187 while the latter one will be available for $203. 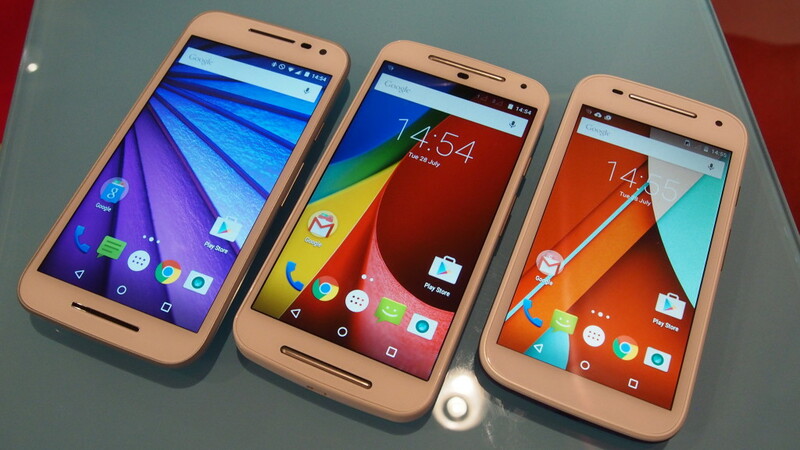 Now let us a deep look to the key specifications of these latest models from Motorola. The device has got dimensions measuring to be 142.1*72.4*11.6mm with a weight of just 155 grams. The screen display comes to be nearly 5 inches edge to edge with a resolution of 720*1280 pixels with 294 PPI. The screen is enabled with multi-touch feature along with the protection from Corning Gorilla Glass 3. The screen has got IPS LCD capacitive touchscreen specialty with the support of 16Multi colours. Another stunning feature this 3rd generation handset is that it has got IPX7 certifies which means the device is water resistant even if it get immersed to upto 1 meter for a time period of 30 minutes. The chipset that powers the smartphone comes from Qualcomm with model name of MSM8916 Snapdragon 410. The CPU is featured with Quad Core Cortex A53 with a processing speed of 1.4GHz. Along with these specifics the graphics is being supported by Adreno 306. The Android version that makes the device function is v5.1.1 Lollipop. The RAM varies from 1GB to GB along with the internal memory of 8GB for the former and 16GB for the latter. Both these variants have got an external storage capacity of upto 32GB by inserting external SD memory card. The primary camera of the device is packed with lens with the capacity of 13MP with the image resolution of 4128*3096 pixels. Another supported features for the main snapper are Autofocus and Dual LED flash, which will help the user to have quality snaps even in dim light. It also has got additional features such as Geo Tagging, Touch Focus, Face Detection, Panorama and Auto HDR. Videos can be recorded with the help of this cam at the resolution of 1080 pixels@30 fps. The front cam is packed with a lens of power 5MP along with the additional feature of auto High Definition Recording. The handset is packed with WiFi connectivity with a bandwidth of 802.11b/g/n and with the support of Bluetooth of v4.0. The device is provided with the facility of GPS traceability. It also has got a USB port of v2.0 for data transfer. In addition to these features it also has sensors like Accelerometer and Proximity. The battery has got a capacity of 2470 mAh but is not removable. The colour variants available are Black and White. Apart from the previous generations of Moto G, the 3rd generation is packed with additional features like water resistance, which will enable the handset to be protected from moisture. The extended battery capacity will keep the handset live for the whole with a single charging. The excellent display quality and protected screen will be liked by most of the users who prefer a high-end device within a middle range budget. Like the previous versions of Moto G, G3 is also expected to penetrate over the market.